Part of my job as a designer is helping my web clients select images for their web sites. High-quality images add to the professionalism of any site. Understanding image orientation is an important part of the selection process. When searching for an image to use in the header of a web site, for example, look for one that has a horizontal orientation, as opposed to vertical. Check out this diagram if you're unsure what/where a web site header is located. Still confused? Think of the options available in the Page Set-up menu of Microsoft Word. 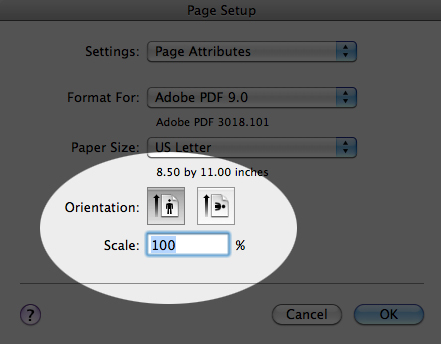 Although these settings refer to how a page will be laid out for print (as opposed to just an image), the orientation principles are the same. Understanding the different orientations makes selecting and laying out images for a web site much easier.